Some of you may have seen our TP Roll Three Kings from a while back. Red Ted LOVES them and brings them out all the time for playing. 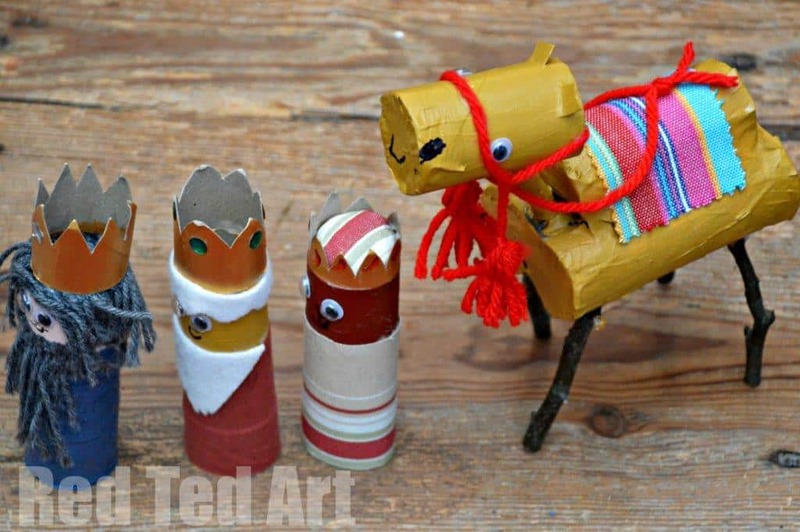 Once we set up our “real nativity”, Red Ted shouted “we need a TP Roll Camel, pleeeeaaase can we make a camel?” How could I refuse such a plea? 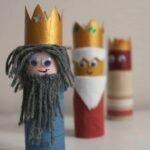 Though we don’t actually have a full TP Roll Nativity scene – we actually “only” have the three kings, I thought why not? 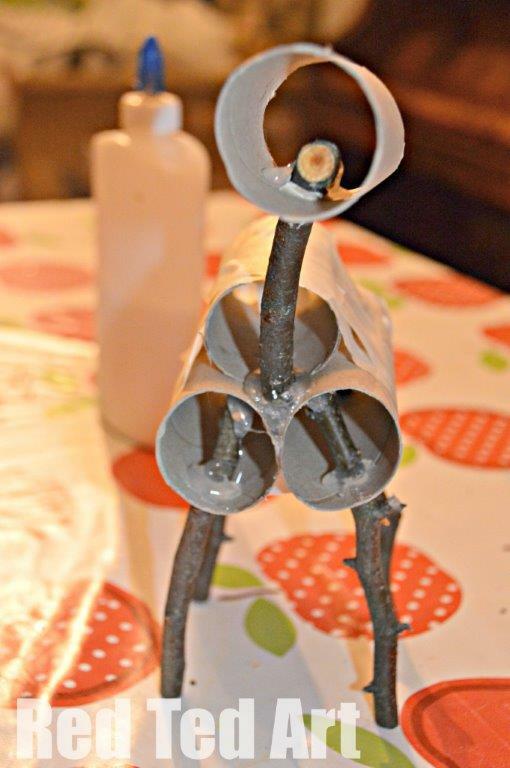 A Toilet Paper Roll Camel we made! Red Ted of course now wants to make the whole nativity, but clearly that is now a project for next year. No rush I say! Lots more wonderful Christmas TP Roll Crafts here. 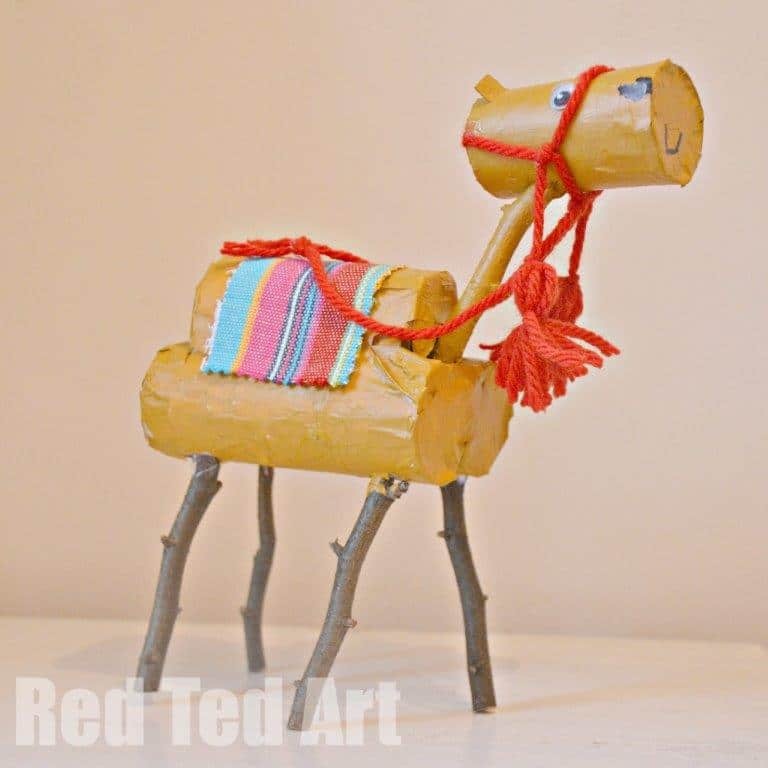 Even if we don’t have a whole nativity craft (yet), I do think that the three kings and this camel craft make a great craft to celebrate Three Kings Day!!! 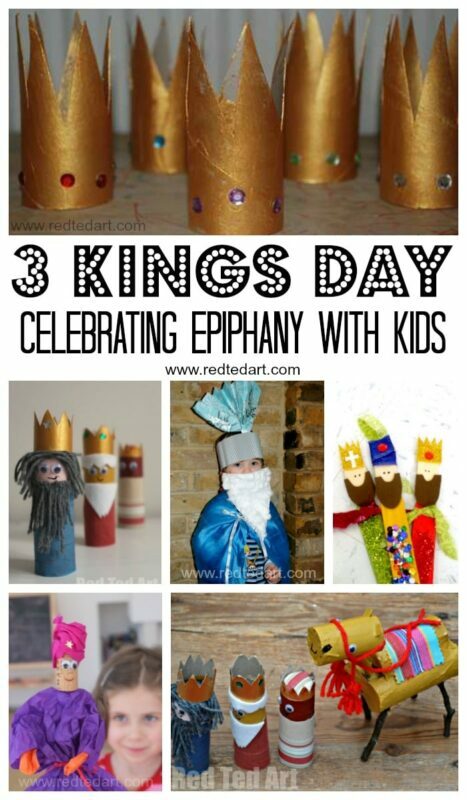 And we more wonderful Three Kings Day Crafts for you to check out! 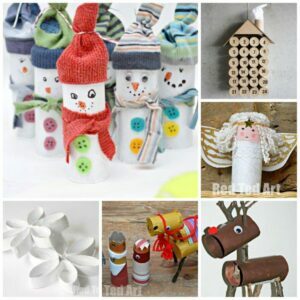 This TP Roll Camel was first publish in Dec 2013 and has been republished for your convenience. We cut one toilet roll to about 2/3s of the size of the others. Then taped this roll + two othes up to create the back and hump. 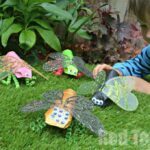 We then made holes for the legs and used a hot glue gun to glue them in place. Good PVA glue will also work, but you will have to let it dry over night. We then cut the 4th toilet roll down o 2/3s for the head. Made a hole for the neck and connect that with LOTS of hot glue to the rest of the body. Once secured, I added more masking tape, to cover all the “holes” and give us a surface to paint. 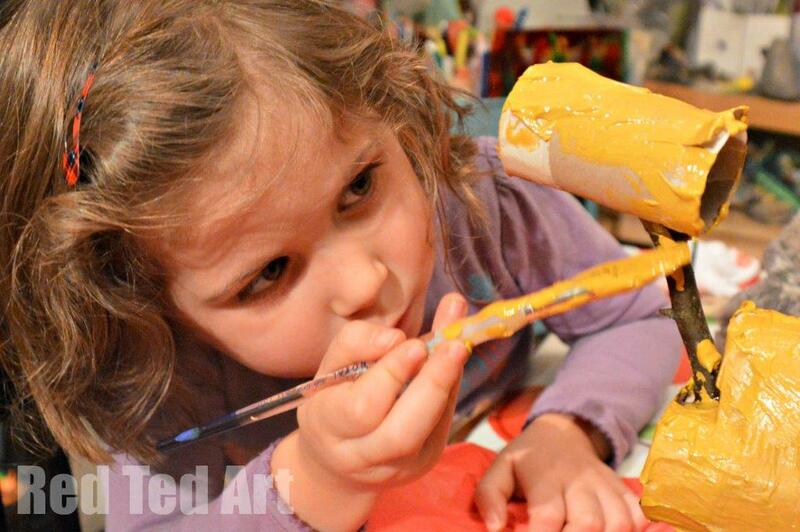 The kids then got stuck in painting. Red Ted did the body, Pip Squeak did the head. I love how concentrated and seriously Pip Squeak took the job. Once fully dried, we stuck on googly eyes, drew a nose holes and mouth and added details, such as a fabric seat and a halter made from wool. Done! 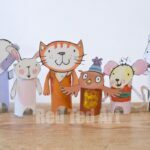 Red Ted is over the moon with his toilet roll camel. I am pretty pleased too. Only only tricky bit has been photographing him in this dreadful Winter light! 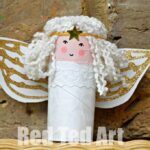 And here is another cute TP Roll Nativity Set for you to peak at! 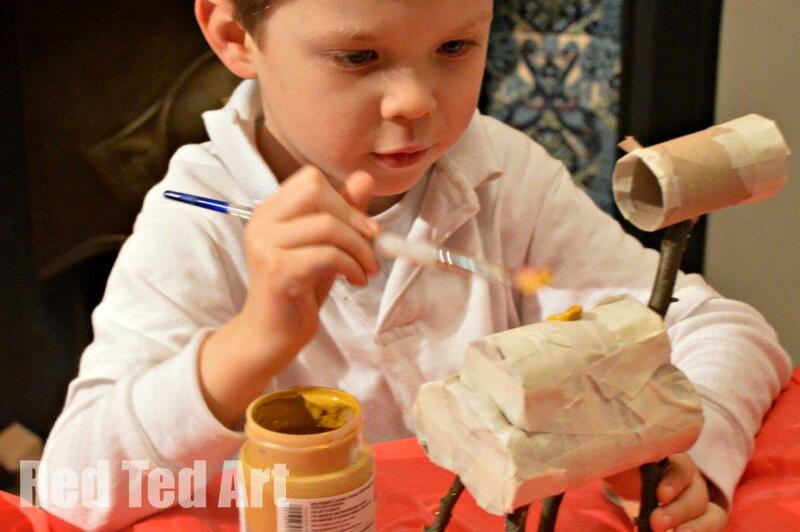 Oh yes, my son is DESPERATE to do the WHOLE nativity now… maybe next year!! 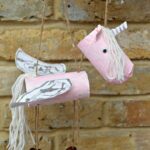 Masking tape that is a genius idea – I say this as I’m struggling to keep my horse together. Thank you for sharing. 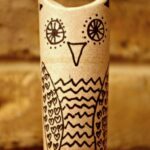 Oh yes, we LOVE combining masking tape with our loo roll crafts! 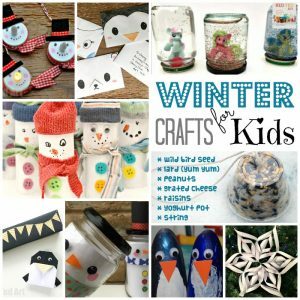 Great for shaping the loo roll too! 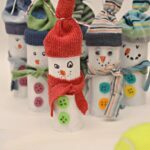 Would you mind explaining how to make the wool halter especially the bobble – hassle end bit?